1. Made of the same material as the parachute fabric and premium 210T nylon the quality is durable,firm and slightly. Hammock comes with ultra-strong, reliable strap webbing connection points which work great with our hammock straps and ropes. 2. Quick-dry material, it can be dried quickly after being wet, and it is easy to clean. 3. It is easy to operate. It only needs to fix the hammock with two lashing ropes. 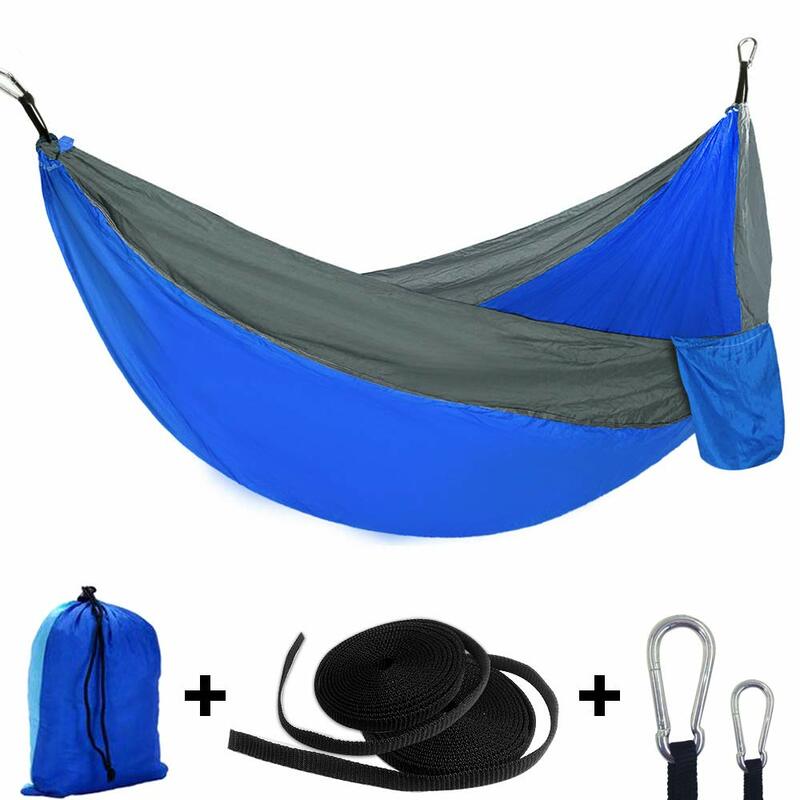 It will take less than 5 minutes to hang your camping hammock on a tree or nearby objects using the hammock straps. 4. Wide range of uses, this camp hammock is perfect for camping, backpacking, hiking, boat trips, traveling, general exploration and it\'s even great in garden nap! 5. The storage bag is used to pack the hammock which with pocket design can be used to carry water and food, mobile phones or other gadgets. OENEW Single and Double camping Hammock. Amazing quality, would definitely buy again.